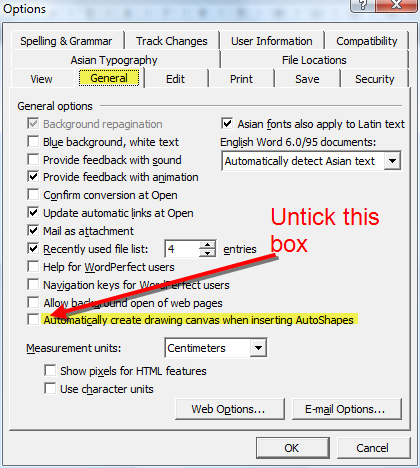 Question: Have you ever got annoyed by that irritating auto canvas that pops on to your screen when ever you want to insert a shape? Well, I can tell you that it has been driving me crazy! Solution: (This solution is not for Word 2007) To get rid of the auto canvas, you go to ‘Tools‘ in the top menu bar. Then select ‘Options‘ in the drop down menu. Click on the ‘General’ tab‘. The last option under ‘General Options‘ in the auto canvas option. Untick the box and click ‘OK‘. 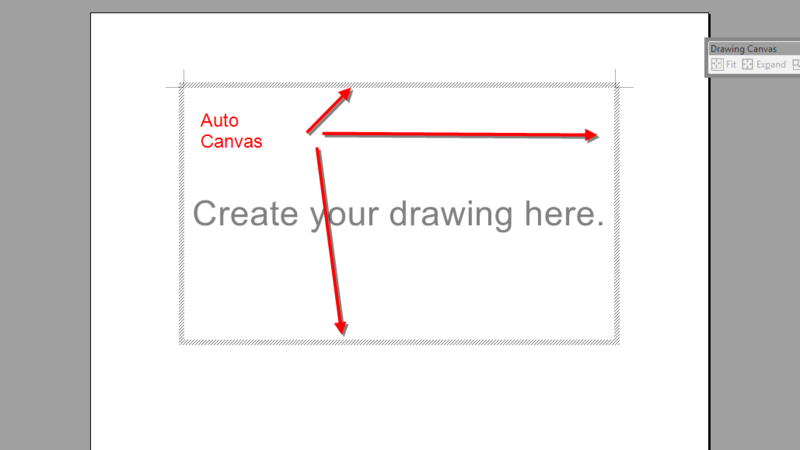 Now you will never have the annoying auto canvas when ever you want to insert an object or shape.